The artwork ‘Provoke’ by Latiff Mohidin. — Picture courtesy of National Gallery Singapore. The artwork ‘Pagoda II’ by Latiff Mohidin. — Picture courtesy of National Gallery Singapore. 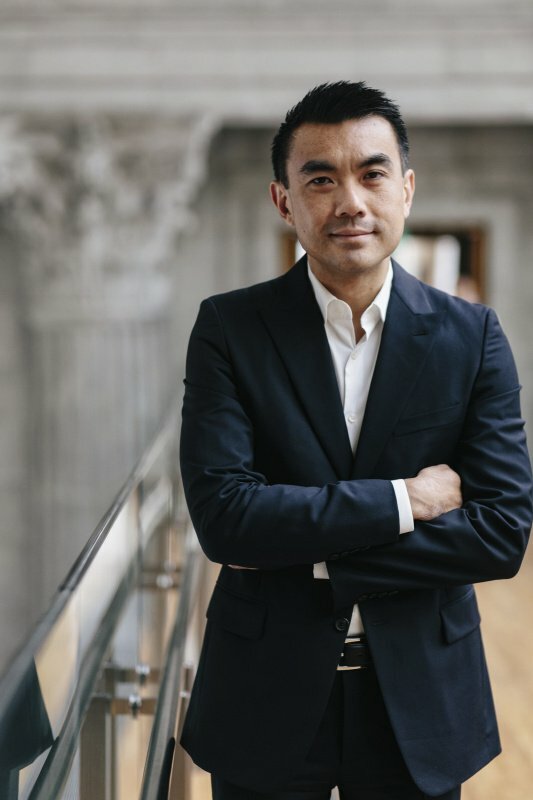 The National Gallery Singapore’s director Dr. Eugene Tan is a powerful advocate of Southeast Asian art, but recently, he was much further afield – in Paris. The occasion was the opening of a show by Malaysian artist Latiff Mohidin, the first collaboration with the Centre Pompidou. The show he brought to Paris is called Pago Pago, a 1960s series of works by Mohidin that develops a specifically geographical expression of modernism. Mohidin travelled extensively throughout Southeast Asia, painting and writing, and also establishing dialogues with thinkers he met across the region. You can clearly see the contrast between the region and Europe by comparing the stolid grey rooftop forms in his 1961 work Berlin in Winter (amongst the 70 works in Paris, painted when he arrived there on a scholarship), and say Pagoda III (1964), with its organic colour palette and dynamic variety of forms. Mohidin’s canvases are intense and expressionistic, with a stylistic hint of pre-war German expressionist Max Beckmann who he admired. By contrast to Beckmann’s capture of the moment, Mohidin captures a sense of timelessness. Meanwhile, in Singapore, the National Gallery’s second Ng Teng Fong Roof Garden Commission is an extraordinary installation by Rirkrit Tiravanija, a Thai artist working in different continents. It brings an unexpected material to the colonial stone and modern concrete and glass of the city’s downtown roofscape. In Paris, CoBo took the opportunity to ask about Dr. Tan’s agenda, and what he means by “Southeast Asian art”. Pago Pago is a powerful show. What is it about Latif Mohidin that made him the subject of this unique collaboration with the Centre Pompidou? The National Gallery’s curatorial efforts have sought to actively engage debates of modernism within a global context. 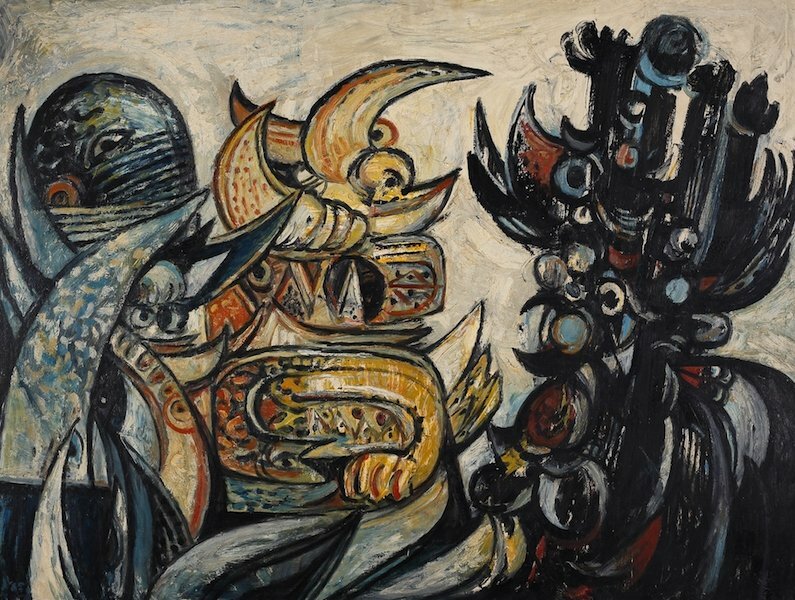 The exhibition showcases Latiff Mohidin’s art during the 1960s, which was a decade that marked such significant shifts both in Southeast Asia and Europe. 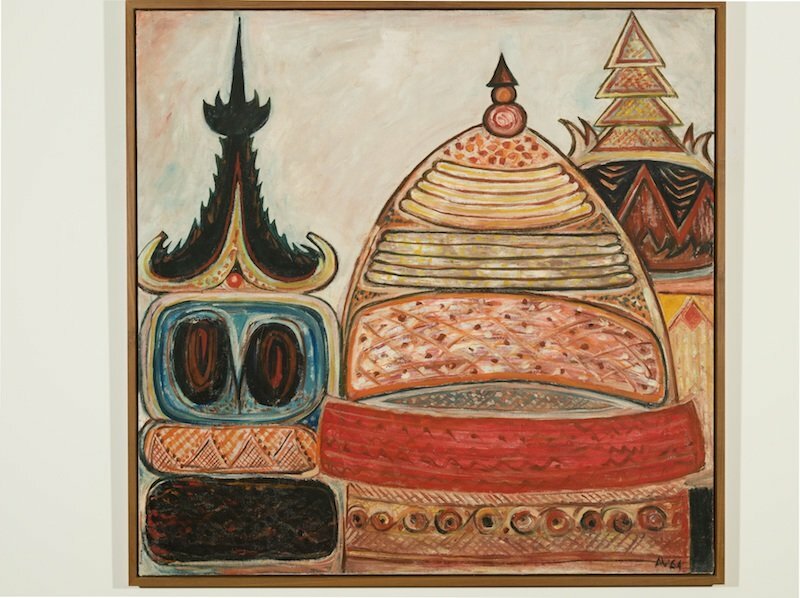 Latiff Mohidin is not only one of Southeast Asia’s leading artists, it could be said that he is one of the first artists of the region to imagine “Southeast Asia” as a distinct aesthetic realm. Is there a parallel with the Tate bringing non-Western modernists to its London programme, and your bringing an artist like Mohidin to a wider global audience? Yes, I think all major museums around the world are beginning to re-examine their collections and to acknowledge that were formed with certain perspectives in mind. Now we have a better idea of the world. Art production is all around the world. There is a need to try to make sense of all this global history of art. 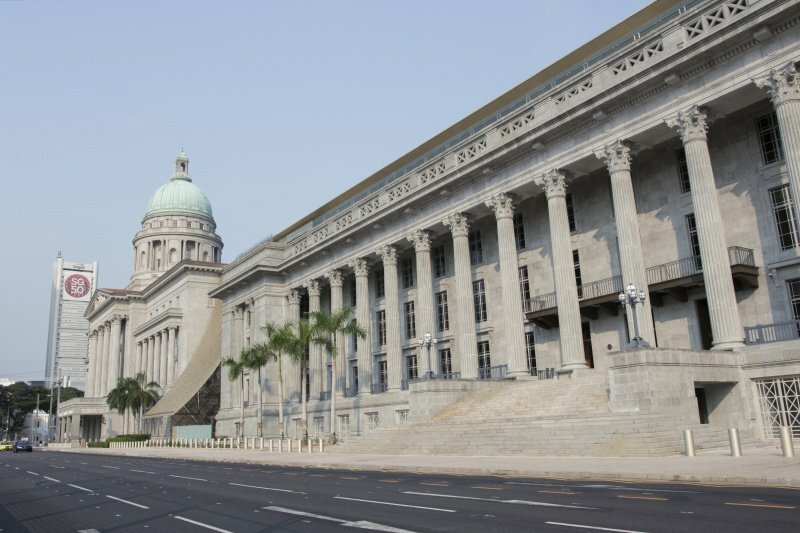 Is the National Gallery Singapore a bridge between Western and Asian cultures and art? I think this idea of dialogue is very important in what you do. I think also, it’s recognising that there is a lot of good art that’s being made in the region, and very good art that’s been made in the past, (but) it remains very much invisible to the rest of the world. Hence why Southeast Asian art is one of our key missions. Also, this question of why we’re looking at Southeast Asia when we are The National Gallery of Singapore. That’s because we cannot dissociate our art from that of the region, because of the strong connections that our countries, our cultures have with others in the region. Within that are questions of different ethnicities and history. Can you really say there is “Southeast Asian art”? If you go to our Southeast Asian Galleries, it is the first permanent exhibition devoted to the art forms of Southeast Asia. It takes a comparative perspective on the region. So we’re trying through the links to experience the shared histories the different countries in the region have had. Does your ongoing research and archive programme of Southeast Asian art have any particular focus, in terms of time periods, or particular movements? The collection and research focus starts at the beginning of the 19th century. We take the 19th century as a key turning point for art in Southeast Asia, precisely because it was the era of colonialism and most countries came under colonial rule. There is a real change in the understanding of what art is, and art production, and hence what we have come to understand as the beginnings of modern art in Southeast Asia. In terms of specific research areas, it would be the second half of the twentieth century. That’s because the periods before that, the materials are a lot more difficult to find, the artists are a lot more difficult to identify. We’re starting with what’s available. Western media such as paintings and statues have lasted centuries. Are there media in Southeast Asia that are more ephemeral? It’s that, plus the fact that the climate in South East Asia is very harsh. A lot of materials from earlier periods are just non-existent. But I think you’re also asking about cultural heritage, and that’s something we’re also examining in relation to art. How do you define the region? Does it go as far as Hong Kong? That’s a very good question. Right now, we take the geo-political grouping ASEAN, which comprises ten countries, that’s the staring point. But then we are also challenging conceptions, extending further north — Taiwan, Hong Kong — and westwards — India, South Asian countries. Is there any discourse with M+ in Hong Kong? Yes, we speak all the time. I think they’re in the process of setting up the museum. We are both looking at art from different perspectives. We take Southeast Asia as the starting point and it’s important how we think about art. The difference is, Hong Kong is now part of China, and I think Chinese art will dominate how they think of art. 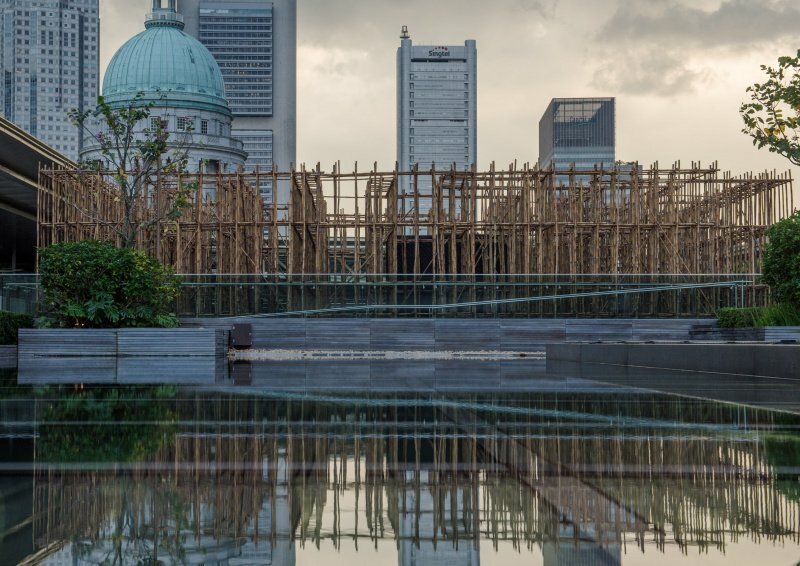 Is Rirkrit Tiravanija’s bamboo maze on the roof something to grab attention and announce that the National Gallery has a strong contemporary agenda? That particular space, we invite artist to do a site-specific installation every year. Rirkrit is the second artist. There is a curatorial framework for this series, which is thinking of Southeast Asia. It’s meant to introduce visitors to what we’re doing in the permanent galleries. All museums today have to find ways to engage the wider public. It’s been very popular. There’s a tea-house right in the middle of the bamboo maze. On a personal note: Before taking your PhD in History of Art at Manchester, you were studying Economics, so why did you switch? It was because I was living in London and I got interested in all the art museums and galleries. I don’t think I can pinpoint the particular moment, something gradually got me more interested in art. It was kind of related to my studies in Politics and Economic at Queen Mary College. We had a brilliant professor who taught political philosophy and he often related that to art. Is Asian and Western art diverging or converging? I think it’s converging because we are understanding that each and every artist comes from a specific context, but at the same time there’s a shared concept of what art is and what it is meant to do. Is that because of the Internet and the global economy? Yes, the internationalisation of art is having an impact, this idea of what we now know as contemporary art. What are your ambitions for Singapore as a regional cultural hub? I quite dislike the word ‘hub’ (laughter). Hub pre-supposes that you’re drawing everything towards one centre, Singapore itself, whereas I like to think of the National Gallery as a node, emerging within an already-existing landscape and working with partners and peers in the region to fully develop the arts in the region. Herbert Wright is a London-based writer covering architecture, urbanism, and art. He is contributing editor of UK architecture/design magazine Blueprint and the author of three books. He also writes on other topics including space, environment, music and the future. He has previously worked at London’s Institute of Contemporary Arts and he curated Lisbon Open House 2012. He graduated in Physics and Astrophysics.